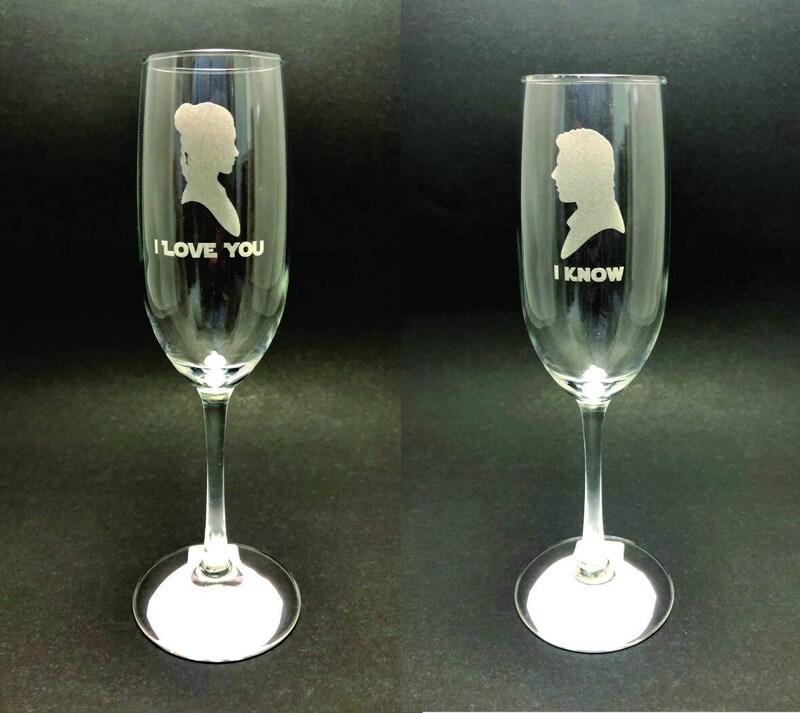 This is for a set of 2 8 oz Champagne Flutes featuring the famous Star Wars scene with Han Solo and Princess Leia. 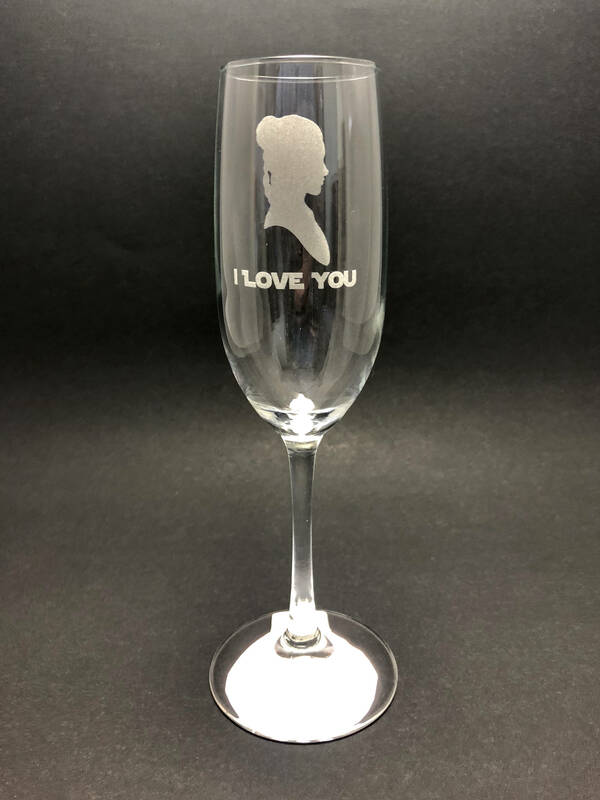 "I Love You", "I Know" laser etched into the glass. 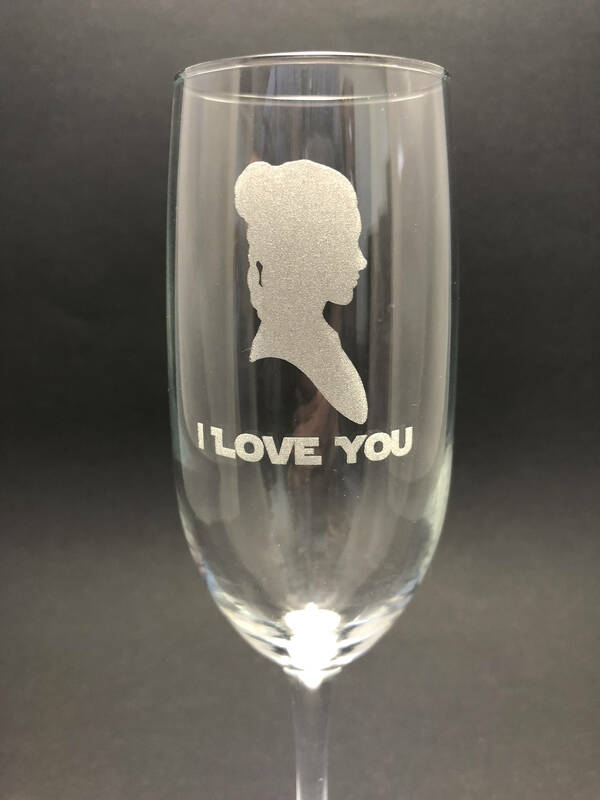 A great way to toast a wedding for any Star Wars fan. These are so beautiful and arrived so quickly! 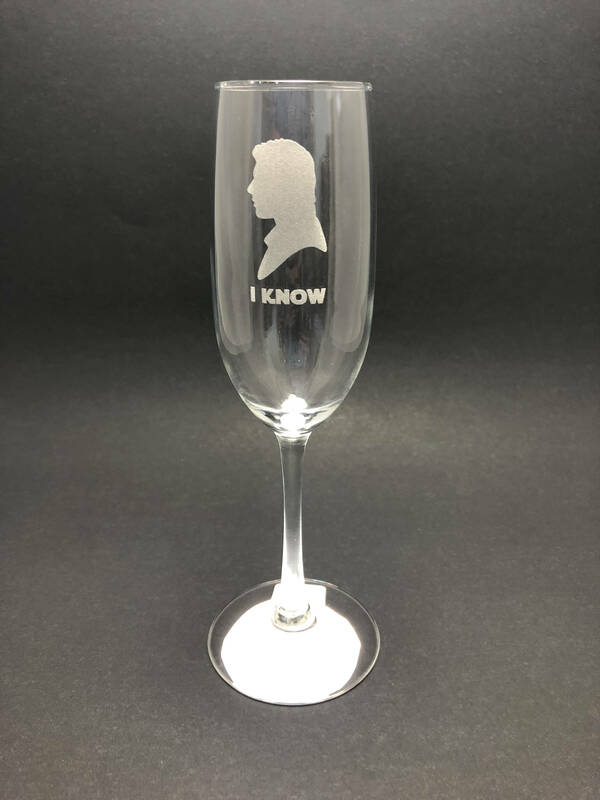 My fiancé and I can’t wait to use them for our Star Wars-themed wedding. Thank you so much! They are absolutely beautiful, Very nice workmanship. fast Delivery too (well packed).Great communication with the artist (owner) too.Very Happy! I bought these for my brother's wedding. They came fast and look great. I highly recommend this shop.